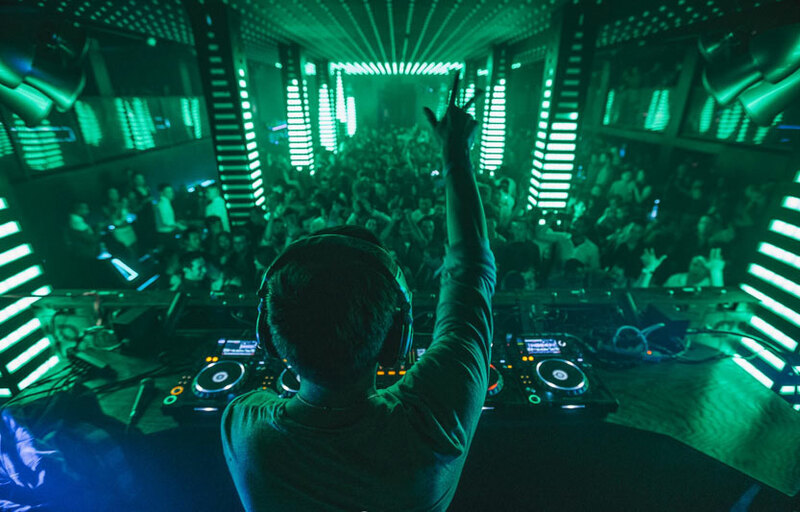 San Francisco’s popular Temple Nightclub underwent a complete redesign, reopening in October 2014. 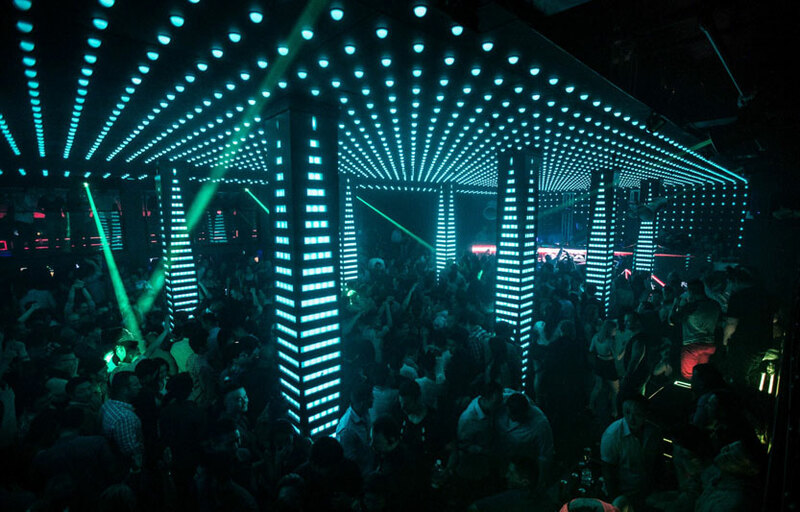 The 20,000-square-foot nightclub, located in SoMa, now features a 50,000 addressable LED immersive lighting sculpture and a Void Air Motion sound system. The venue comprises three different rooms: The main room holds 750 guests for receptions and includes two full bars with one mezzanine-level bar. It also has a 16- by 12-foot stage, a DJ booth, and a 4- by 20-foot LED for visual projection. Another space, called LVL 55, holds 350 for receptions and offers a full bar and enclosed DJ booth. The Infinity Lounge holds as many as 150 guests for receptions and includes a full bar, customizable DJ booth, and energy-generating dance floor. Expect electronic music (house, progressive house, deep house, etc) upstairs and hip hop downstairs on most nights. Temple has 3 rooms and typically plays electronic music upstairs and hip hop downstairs. 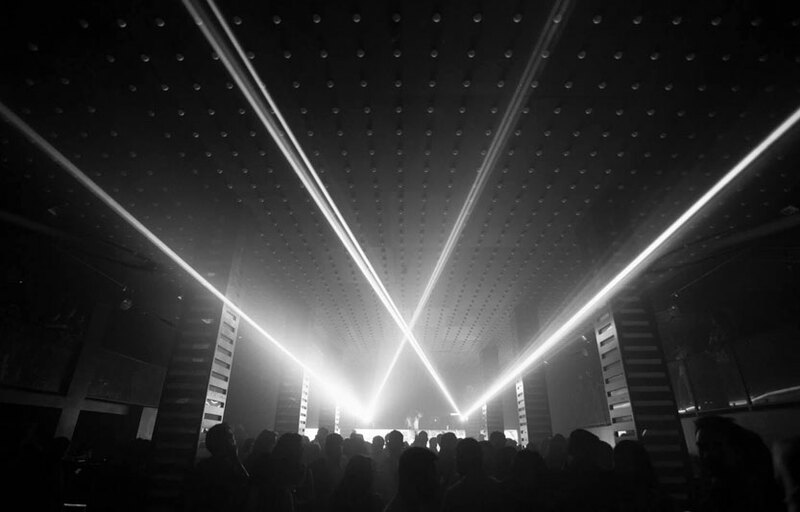 Temple is one of the few venues in SF to stay open past 2 AM. Upper Floor – Left Bar- Drinks are easier to order on the left, it’s way more spacious & behind the table service. Upper Floor – Right Bar- Crowded. Turns into beer & shots only bar when it’s busy. Upper Bathroom line is always long, go downstairs via the stairwell behind the coat check to get to the downstairs bathroom faster. Downstairs bathroom is behind the DJ booth & usually empty. To get closer to the DJ booth on the upper floor, use the left & right corridors near the table service, it’s usually kept clear. Hot dogs are sold en route to the back, large smoking area. Temple is located in Soma on Howard between 1st and 2nd. General admission can range from $20-40 depending on how busy the night is and talent. Average wait times can get as high as 1 hour+ on busy nights, now that Temple is a hot spot after it’s recent renovation. We’d recommend going around 11 to avoid long waits. Temple is open from 10 PM – 4 AM on Thursdays, Fridays and Saturdays. Fridays and Saturdays are both good. Check the Discotech app to see who’s spinning in the top room. Downstairs is going to be primarily hip hop. Is there parking near Temple? There’s a parking lot next door that’s $20 all night. Mixed drinks and shots are roughly $12 apiece, beers $10. Temple features a rotation of B level EDM talent. You won’t see Tiesto or Kaskade here – think John O Callagan, Stellar, 3LAU, EDX, Danny Avila, John Dahlback, Sunnery James + Ryan Marciano, Sultan + Ned Shepard, etc. You can get the best of both worlds here – electronic music upstairs, hip hop downstairs. You can download the Discotech app to see upcoming events, and book tables for Temple. You can also visit Temple’s eventbrite page for a current list of events.